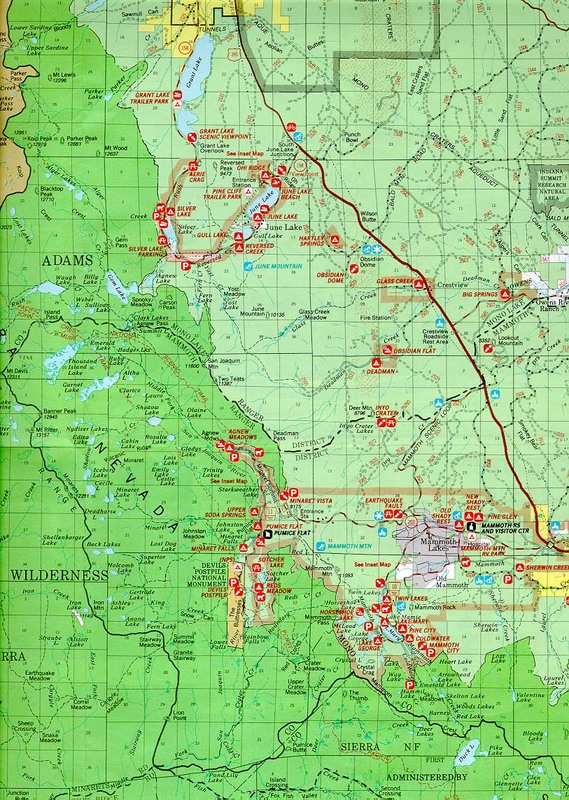 This map provided by the Inyo Forest Service show how Mammoth Lakes and June Lake lay with in the Sierra Nevada landscape. The town of Mammoth is only 2 square miles large, and the rest of the land is designated as forest "open space". The distance between Mammoth and June is about 12 miles along Highway 395. We always say that Mammoth is called "Mammoth" for a reason, it is because the mountain is so huge. But the town is quite small. There are however different kinds of lodging choices when you are ready to make your Mammoth reservations.